Create a great first impression with a key customer or clients that they will not forget! Hire one of our cars to pick them up from the airport, take them out to dinner, for a round of golf, perhaps take them for a day out. Make the visit to your business meeting stick out in their mind. We can arrange drivers by arrangement but nothing beats the personal touch and you get the chance to drive the car yourself. Why not consider driving the bride yourself? 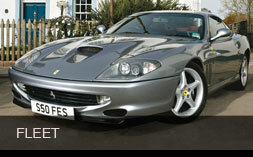 We can offer one of our 2 door sports cars or, if you prefer, a more traditional 4-door Maserati for the special day. The benefit of hiring one of our cars is you get to have some fun yourself on or around the bride’s big day. In addition it is the bridal car which is the focus of the photographs, so get the car of your dreams for the bride and save on the other cars by using luxury people carriers that carry 6 or 7 that can usually be hired for around £30-40/Hr rather than say paying £500-750 for a half day limousine. We can offer a package of 3 days hire of your very own super car for around the same price as the cost of a couple of half day wedding cars. 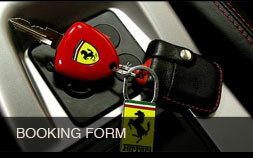 Have you been unfortunate enough to be involved in an accident with your beloved Ferrari, Aston, Porsche, Maserati ? Many people don’t let the insurance company fob them off with a replacement super-mini or hatchback, they negotiate an “appropriate” replacement. It usually assists get your vehicle back on the road quicker if they have to hire you a like-for-like substitute. We can provide a quotation to you or your insurance company to provide one of our cars as long as needed. Terms agreed on request.